Alvin Community College regents approved the 2017-18 fiscal year audit during their meeting on January 10. The audit was conducted by the Belt, Harris and Pechacek firm. Auditors stated the college maintains sound fiscal policy. The college has 67.8 million in total assets. Revenues were at $46.7 million with expenditures at $45.7 million. Regents unanimously approved to place $408,170 from unrestricted fund balance to institutional reserve. In other action, the board unanimously approved $90,000 in electrical testing and maintenance that is being conducted on the campus. The testing is funded by the maintenance tax notes approved by the board in 2018. The board will have its next meeting on February 28 at 6 p.m. in the Nolan Ryan Center. 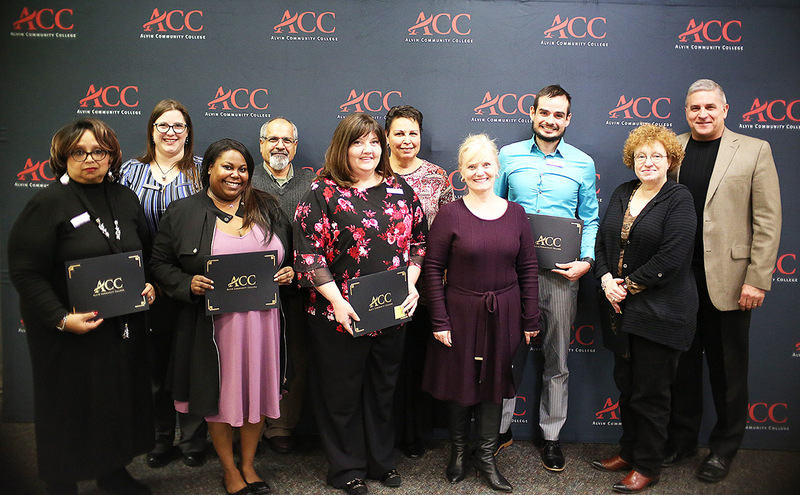 ACC regents recognized Vice President of Student Services Marilyn Dement, left, after the department received a grant from the American Association of Community Colleges to participate in an online career services platform. Joining her is Chair Mike Pyburn. The HSI STEM team members were recognized by the ACC regents for an excellent review of their program by evaluators. 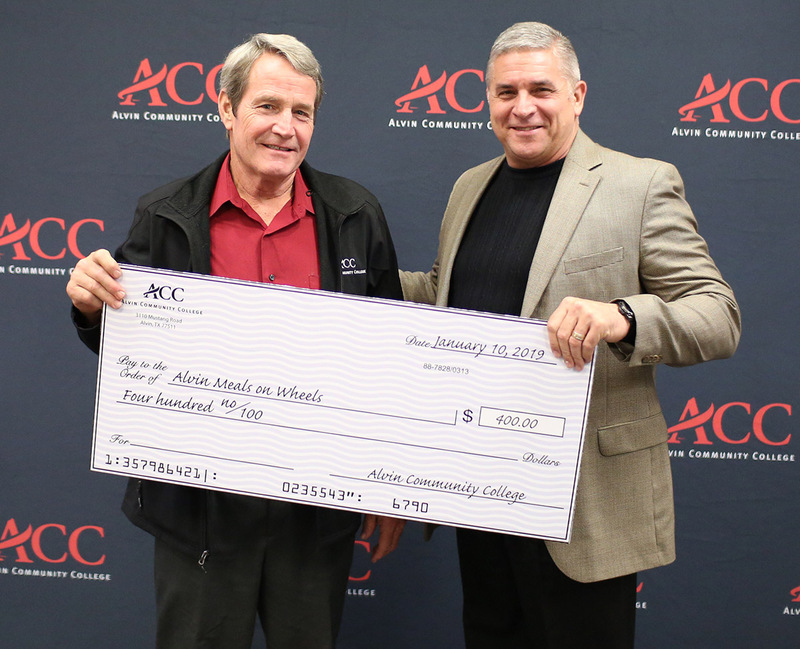 ACC Chair Mike Pyburn presents Meals on Wheels President and regent Andy Tacquard with a $400 donation raised by ACC staff members. 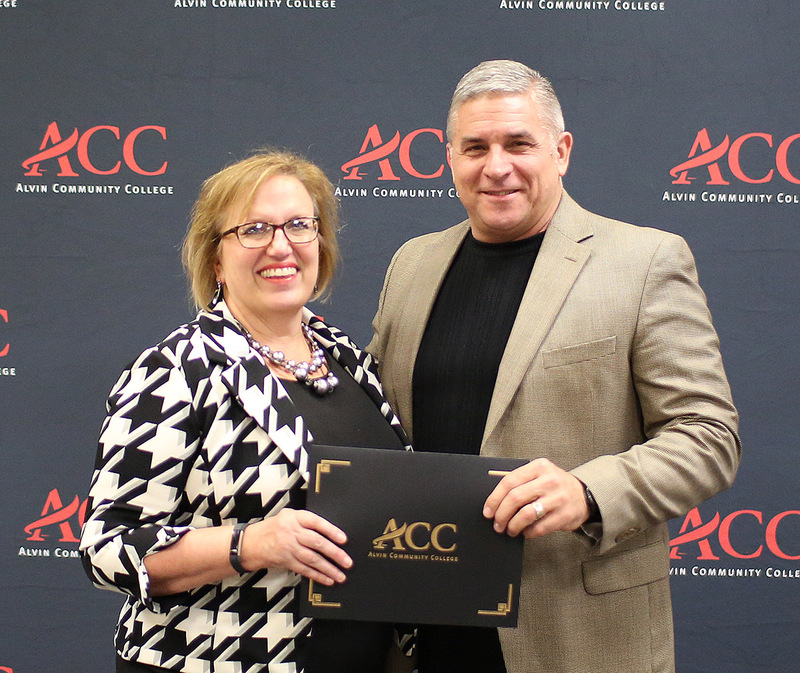 ACC regents recognized the Student Activities Department after the college was nominated as “College of the Year” by the Gulf Coast Regional Blood Center. 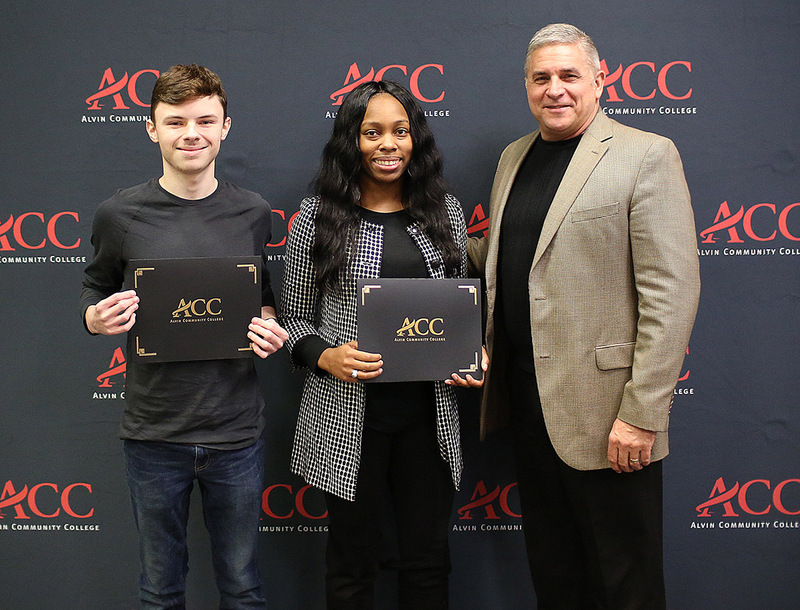 From left: student Garret Page, Student Activities coordinator Olivia Henderson and Board Chair Mike Pyburn.